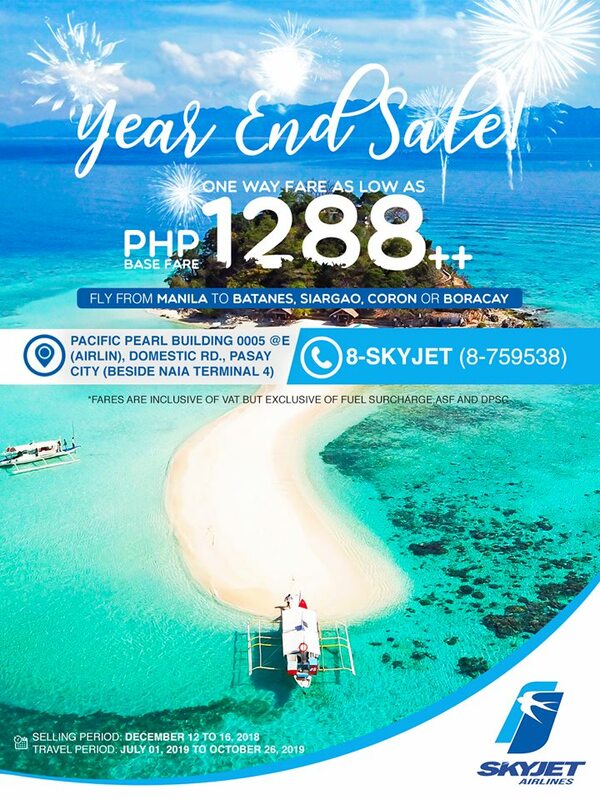 Book your 2019 getaway with SkyJet Airlines’ #YearEndSale! 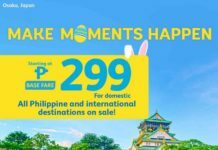 Book today until December 16, 2018 by calling 8-SKYJET or by visiting their ticketing office at Pacific Pearl Building 0005 @E (Airlin), Domestic Road, Pasay City (beside NAIA Terminal 4); Office hours are 8AM to 6PM daily. 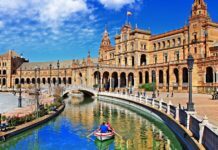 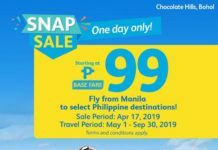 Travel period is from July 01 to October 26, 2019.